Andrea del Sartos’ famous phrase ‘less is more’ is often followed when it comes to dark colors to limit the confined effect. It is indeed a very safe rule in the Cimmerian book. Safe and stale. Go against the decorous, and embrace the full-on approach when going dark. After all, “the first rule of decoration is that you can break almost all the other rules,” as design legend Billy Baldwin once said. When in dark, abuse texture! Texture is the most important thing to consider if you don’t want an all dark interior to look mundane and cave-like. Panel covings in matte or a lacquer-finished wall will add subtle vibrancy to the overall look. Complementing furnishings with a glossy, crepitated, or flinty exotic finishes will also produce an appealing outcome. 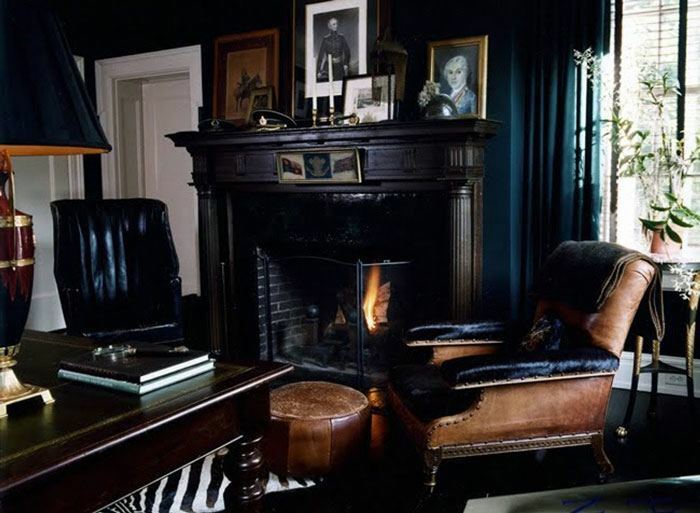 Color Coordinates Going dark in various harmonious shades is a definite interior do! 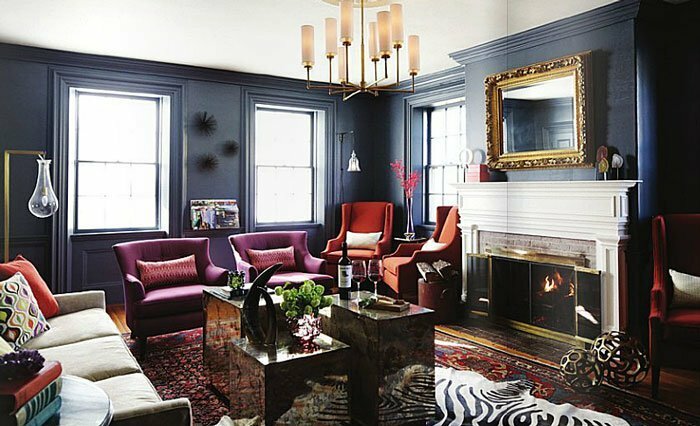 A fine fusion of maroon, Phthalo green, Oxford blue, Davy’s gray, and bistre results in a gorgeously dramatic interior. Clever placement of colors must be used in order to produce a compelling effect. This can be achieved via appropriate accoutrements. The amount of light (natural or otherwise) plays a key role in making a dark interior work. There has to be enough to create an appearance of subdued effervescence all over the place. Balance is the word you are looking for when it comes to lighting up a dark room. If the space lacks illumination, create one. A harsh central light is a sin. Avoid that at all costs. Opt instead for recessed and accent lighting fixtures to enhance chosen features of the room. Proper orientation of tall fixtures in the room will help with the flow of light, too. We have heard this truism so many times: light colors for small spaces…only. 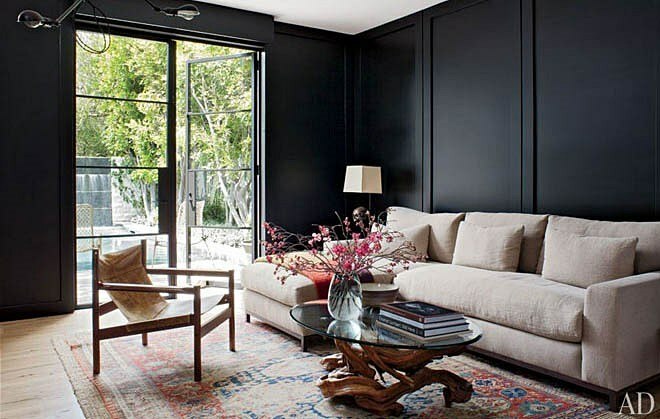 Dark colors have the effect of cinching dimensions hence the fear of painting a small space in this particular hue. 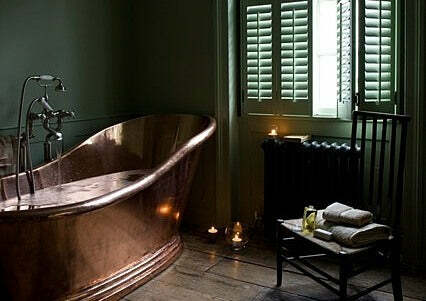 But, when designed right, it can make a small room exceptionally classy. Try coating the walls and ceiling in one dark color - leaving the floor in the opposite shade. It will trick the eye proportion-wise. Good lighting plus ornaments that attracts light such as mirrors are important additions as well. 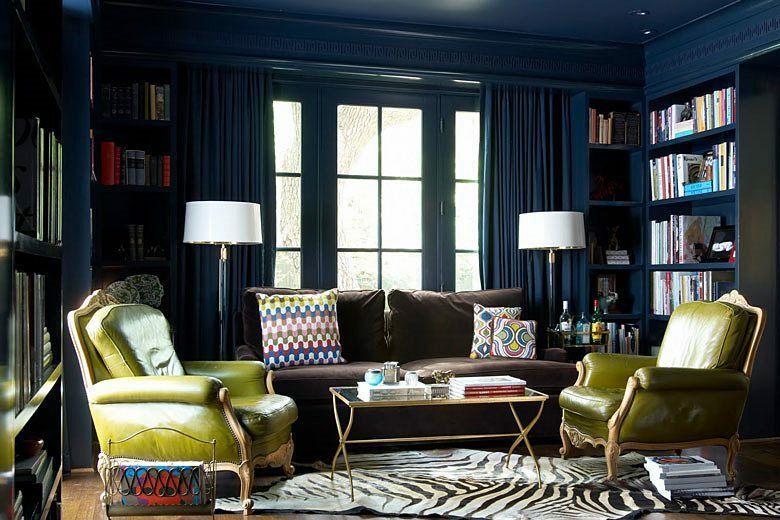 Dark colors are a great base to accentuate a décor. 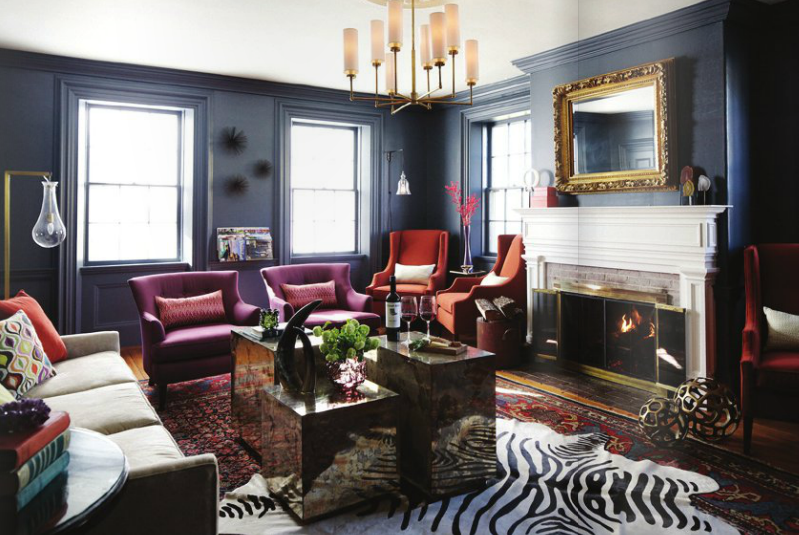 To break the area’s monotony, add accent patterns such as fur throw pillows or a zebra skin rug. They will soften the asperity of the dark surroundings. Furniture made of natural elements such as wood and metal will be a perfect complement for dark colors. These can range from tufted, deep-hued leather lounge chairs to polished aluminum steamer trunks with brass plate. Antagonistic colors that belong to the other side of the spectrum will also provide a positive contrast. You should limit them to a few so as not to make the area appear chaotic. What do you think? 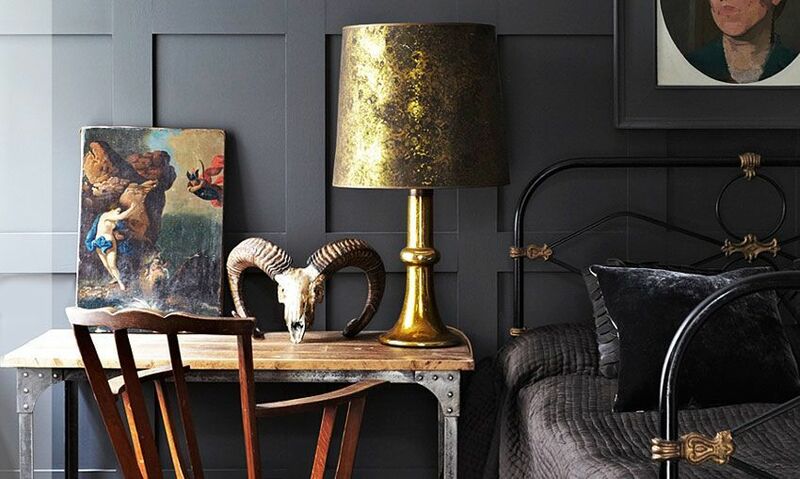 Are you bold enough to darken your interiors?